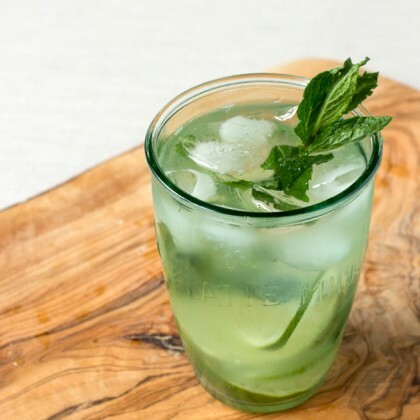 This refreshing layered green tea latte is surprisingly easy to make. 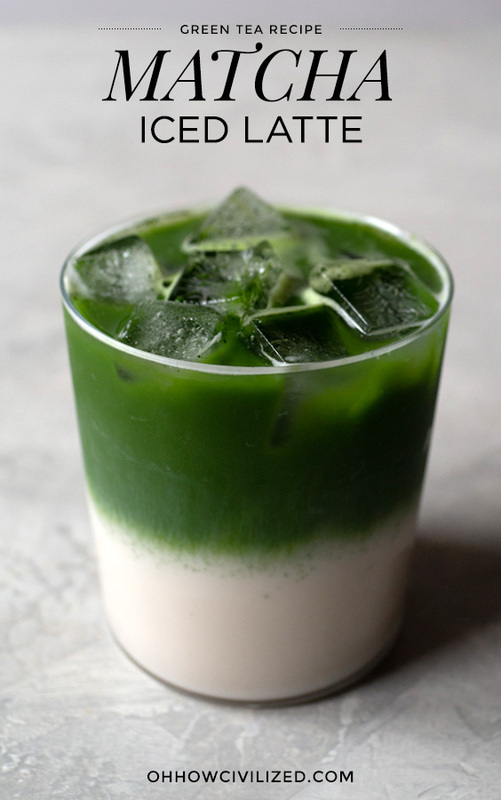 I’ll show you, step-by-step, how to create a pretty (and delicious) layered iced matcha latte at home. All I drink in the summer are cold brew iced teas and iced matcha lattes. 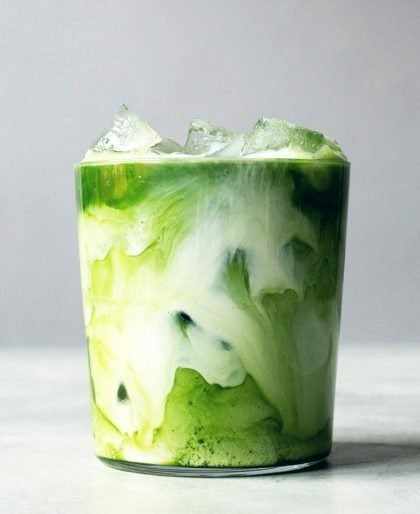 If you thought iced matcha (green tea) lattes were hard to make, I’m going to be the one to break it to you that you’re wrong. 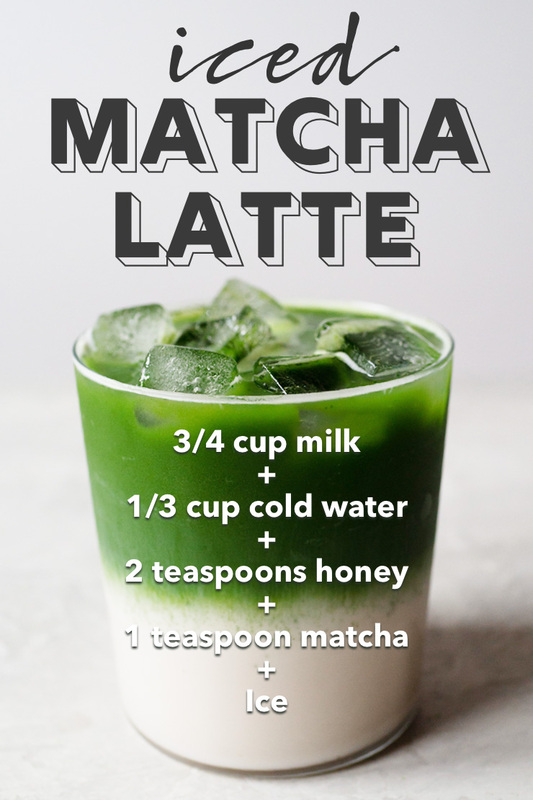 My iced matcha lattes are made from three ingredients: matcha green tea powder, milk, and honey. 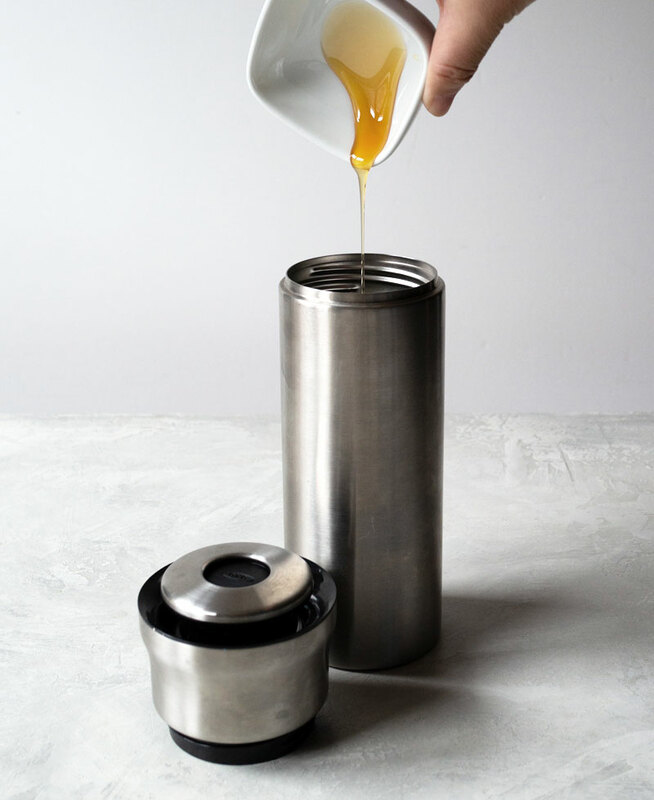 You can take out the honey if you prefer, or replace it with another sweetener like brown sugar. 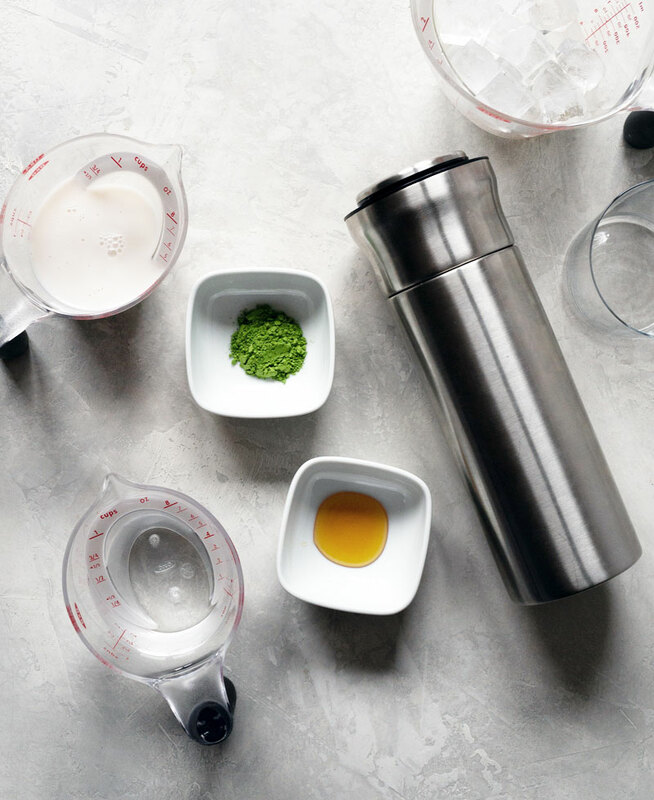 With my iced matcha latte method you don’t need any traditional matcha tools, like a bamboo whisk or a special bowl. 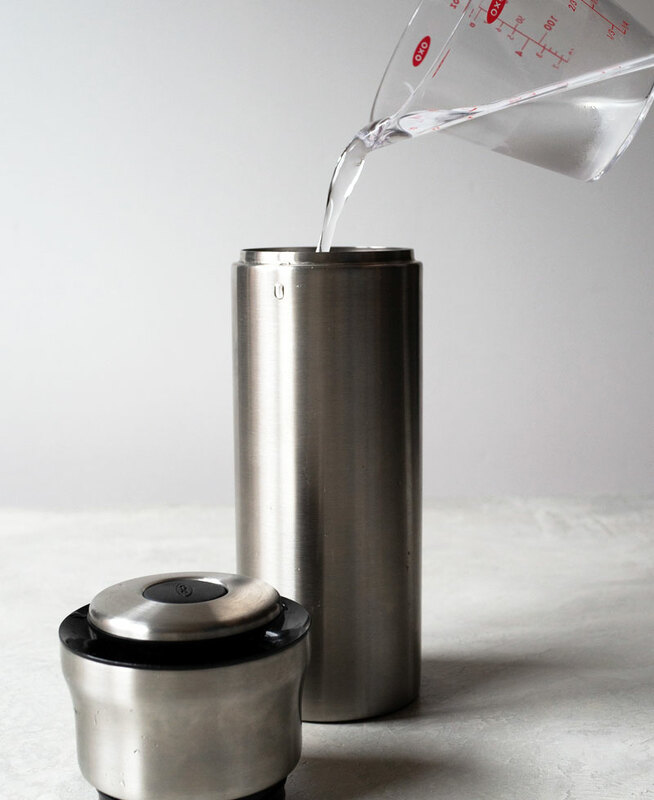 All you need is an air-tight container: like a jar with a tight lid, a hydro flask, or a cocktail shaker. Find the brightest green without going over $30. I like this brand especially since they have free shipping. Here’s a lower priced matcha if you don’t want to splurge. Or any wide-mouth container with an air-tight lid. Since you need a lot of ice. To show off the layers. 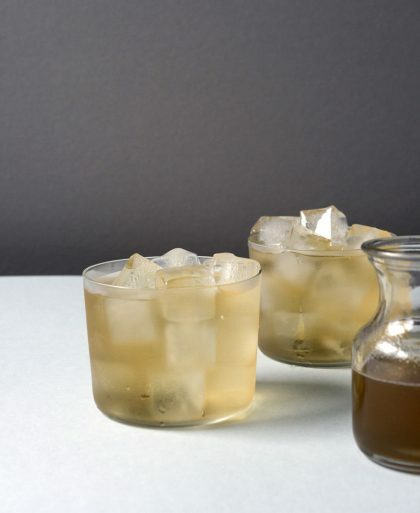 I love the look of layered drinks and there is just one trick to getting that effect. It’s SUGAR. The sugar content keeps the layers separated. The liquid that has the most sugar will sink to the bottom. In this drink, I added honey into the milk, but not to the matcha, so that’s why the milk was added first. 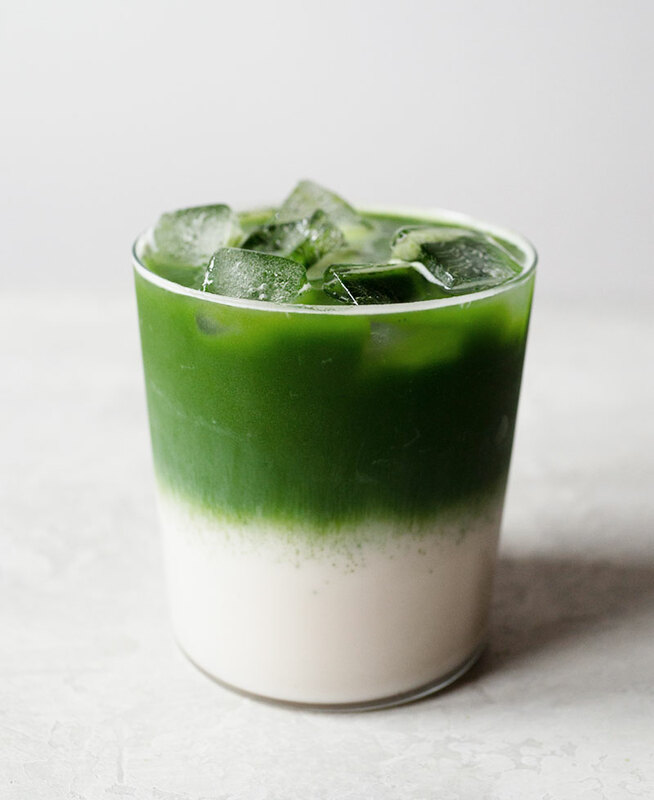 If you want to have the matcha at the bottom and the milk on top, add the sweetener in with the matcha instead of the milk. I’ll walk you through the drink, step by step. For this drink, it’s a two part shaking process. Add the milk in to the cocktail shaker. I’m using almond milk but you can use any milk you like. Next, add in the honey. Make sure to add the honey after the milk so that it’s not sticking to the sides of the container. Shake, shake, shake. Vigorously shake for 10-15 seconds. You want to make sure the milk and the honey are well mixed. Pour the milk into a glass cup. 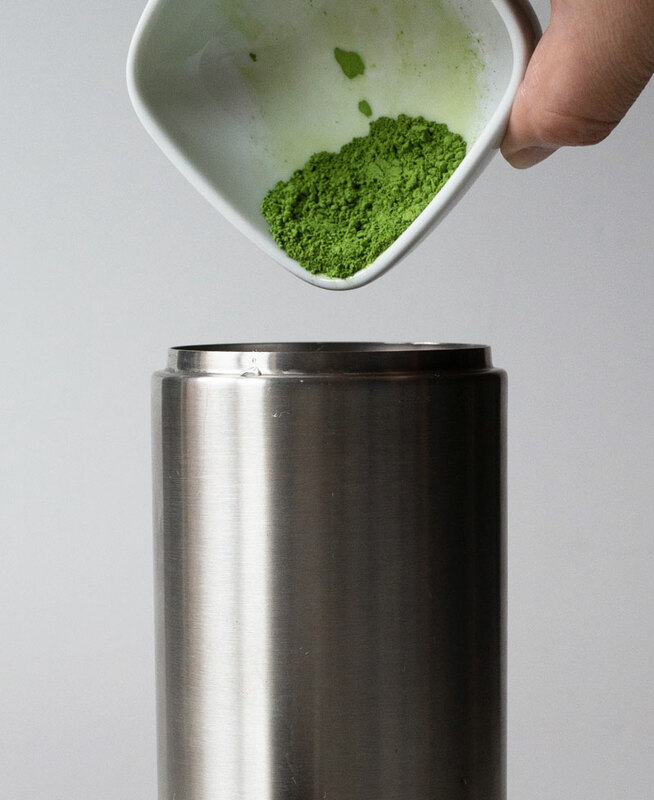 Give the cocktail shaker a quick rinse with cold water and let’s make the matcha. For the longest time, I would make matcha traditionally with a bamboo whisk and a matcha bowl, but I was making things harder for myself. It’s actually easier to shake it than to whisk it when using cold water. No need to use a sifter either! No clumps with this shaking method. Next goes the matcha, the powdered green tea. Make sure to add the water first, then the matcha. Shake, shake shake. 10-15 seconds of vigorous shaking once again. The more expensive the matcha, the brighter green it will be. If you want a pretty green, spend between $20-$30 a tin. Anything less and your matcha will be a dull green color. Pour the matcha into the glass cup. Don’t dump in the matcha all at once. It’s best to pour it slowly. 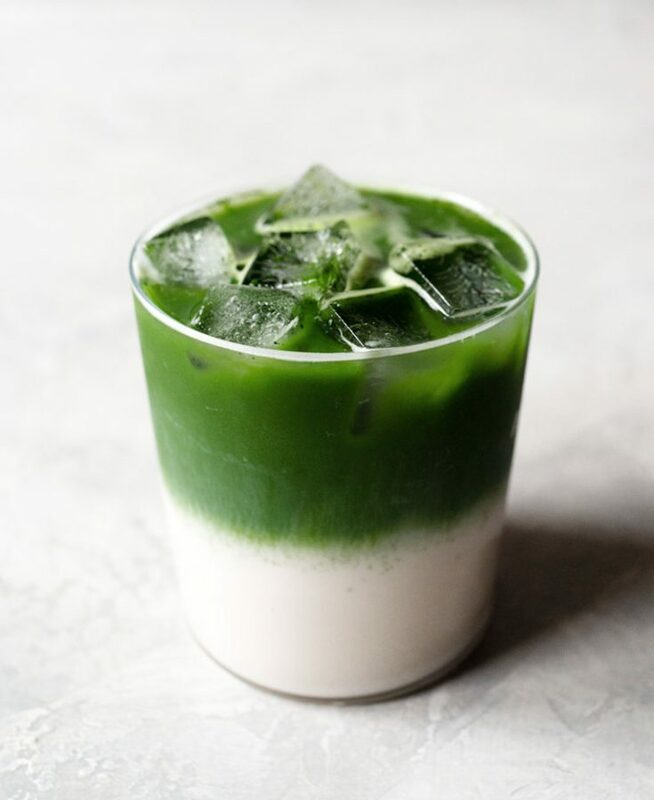 Because of the sugar content in the milk, the matcha (without any sugar) won’t immediately sink to the bottom and you’ll see the layering of the milk and matcha. Stir it up a bit before drinking to combine the milk and the matcha. The color of the matcha indicates the quality. If you pay around $15, the matcha will be a dull, brownish green color. If you spend $50, the matcha will be a bright, vibrant green. You don’t need to spend $50 for this recipe. Something in the $25 – $30 range will have a nice green color. Matcha tends to clump so it’s important to shake the matcha green tea powder with water vigorously. 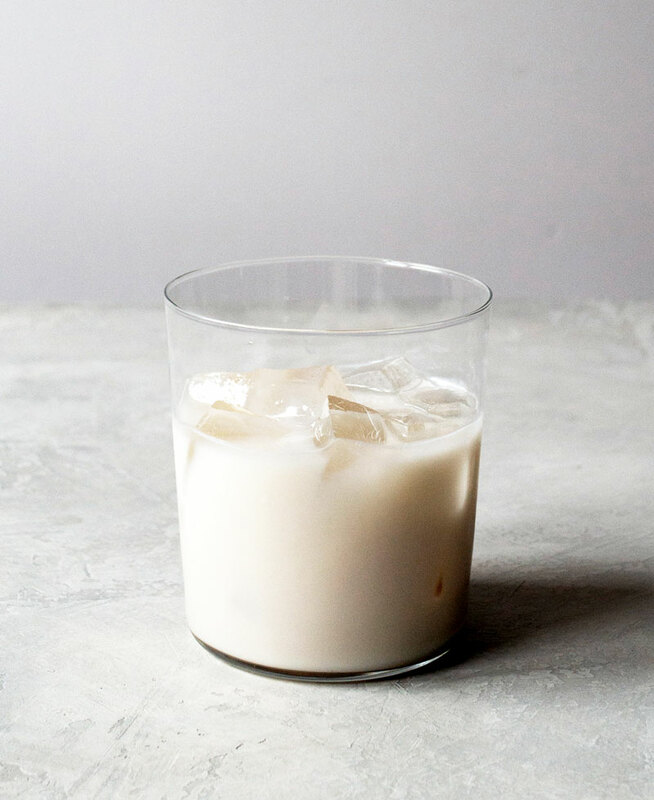 You can make this recipe vegan by using oat milk and replacing the honey with maple syrup. 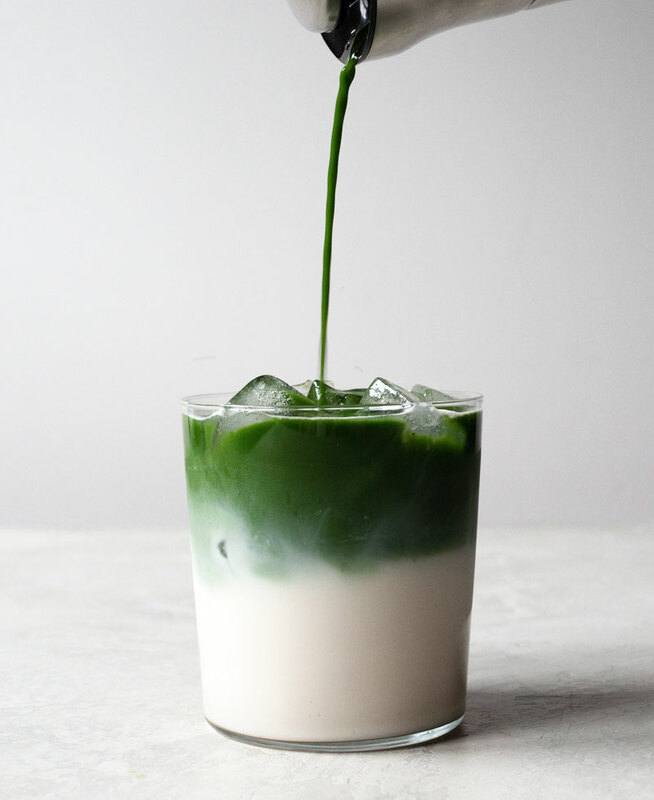 This layered iced matcha latte is surprisingly easy to make! 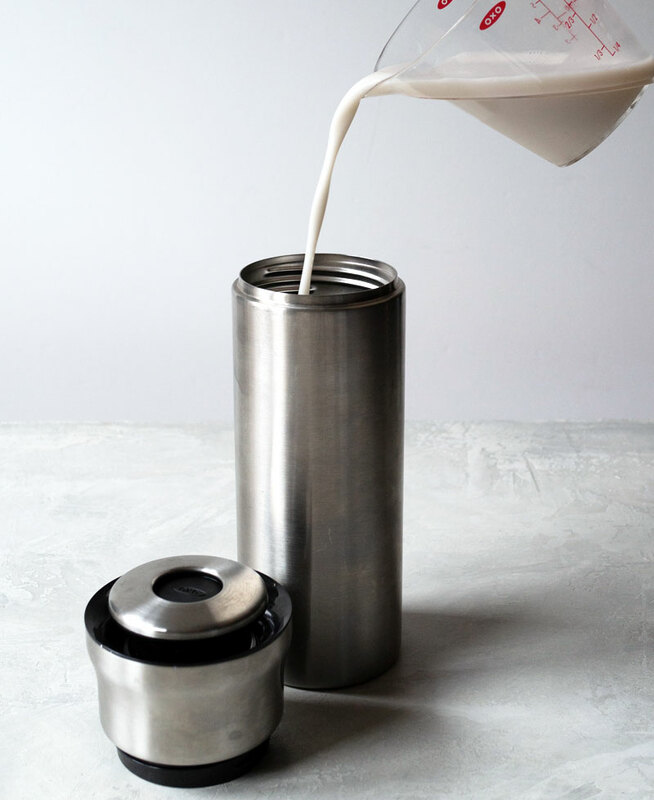 Into an air-tight container like a cocktail shaker, shake together milk and honey for 10-15 seconds. 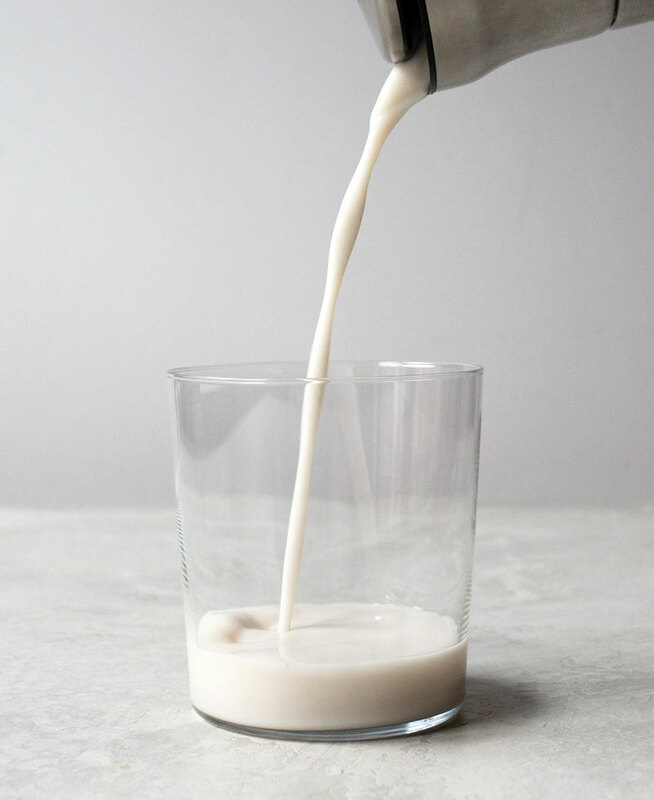 Pour sweetened milk into a glass cup and add ice. Rinse the cocktail shaker and add in cold water and matcha. Shake for 10-15 seconds. Pour matcha into the glass cup slowly. Add more ice if necessary. Hi, I’m very interested in learning more about layering drinks. I run a small Tea shop in Jamaica and I love how layered drinks look! Would love if you could give me a bit more insight, the layering isn’t going so well even when I follow the recipe. Hi Alex, the layer effect works best when the bottom layer has sugar and the top layer doesn’t. 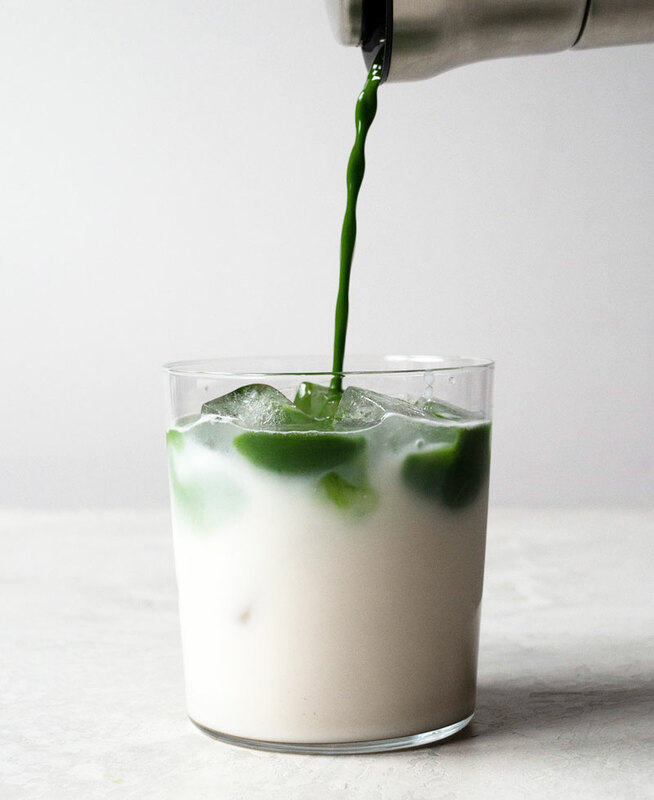 Try adding more sugar to the milk and making sure there’s no sugar in the matcha.